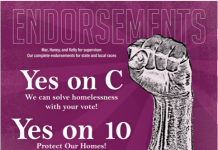 Editor’s note: The Bay Guardian endorsed against Measure AA. You can read our argument here. 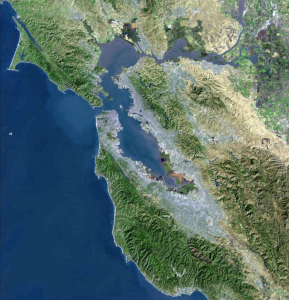 San Francisco progressives stand united in our commitment to protect and restore San Francisco Bay, the Bay Area’s defining feature and greatest natural treasure. That’s why we strongly support Measure AA, our region’s response to the critical challenge of restoring the Bay’s wetlands over the next 20 years, before sea level rise due to climate change makes doing so impossible or prohibitively expensive. A consortium of scientists has found that the Bay needs 100,000 acres of wetlands to keep it clean and healthy, but the Bay has only 44,000 acres of wetlands today. Another 36,000 shoreline acres are under public protection and awaiting restoration, but until now, there has been no funding to do the work. Measure AA, a parcel tax of $12 per year throughout the Bay Area, would raise $500 million over 20 years for wetlands restoration to reduce trash and toxic pollution; improve water quality; expand habitat for fish, birds, and other wildlife; increase public access to shoreline parks and recreation; and provide a cost-effective, green solution to protect Bayfront communities – including low income areas of San Jose, East Palo Alto, Hayward, Richmond, Bay Point and Marin City – from flooding due to sea level rise. San Francisco wetlands restoration sites that have been identified as potential recipients of Measure AA funds include Yosemite Slough at Candlestick Point, China Basin, Heron’s Head Park, Islais Creek, Slipways Park and Crane Cove Park on Pier 70, Tennessee Hollow, and Warm Water Cover Park. Fittingly, San Francisco’s leading progressive officials and organizations, including Sen. Mark Leno and Asm. Phil Ting; Supervisors Eric Mar, Aaron Peskin, Jane Kim, David Campos, and John Avalos; the Harvey Milk LGBT Democratic Club, the San Francisco Tenants Union, and Haight Ashbury Neighborhood Council; UNITE HERE Local 2 and SEIU Local 1021 all have endorsed Measure AA. How is it, then, that our friend Tim Redmond can oppose Measure AA? Because he ignores the specific purpose and powers of the public agency that is proposing Measure AA, and the details of how it works. It has no regulatory authority over San Francisco Bay or its shoreline. It has no say in local government land use entitlement and project permitting decisions. It is even legally prohibited from owning any real property. It can only raise resources by a two-thirds vote of the electorate under its jurisdiction, and it can only allocate resources for wetlands restoration under a specific set of criteria set forth in state statute – a set of criteria that under Measure AA would become even more specific and restrictive. Like the San Francisco projects listed above, other wetlands restoration projects throughout the Bay Area that are anticipated to be eligible for Measure AA funding are already known and have already been scoped in detail by their various public agency and public trust sponsors. The list of these projects is published on the Restoration Authority’s website at http://sfbayrestore.org/docs/Projects.pdf. The Restoration Authority’s actions are also subject to checks and balances by both a statutory stakeholder Advisory Committee with an ongoing voice in its policies and grant making and an Independent Citizens Oversight Committee that will review its performance under Measure AA. Finally, the Restoration Authority’s Governing Board is composed entirely of local elected officials, who surely would face serious consequences from their own constituents if they were to act unwisely. 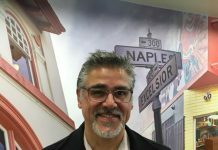 That these officials are appointed by ABAG, a regional planning agency itself composed of local elected officials from cities and counties throughout the Bay Area, is solely a function of the reality that neither state nor local officials supported creating a region-wide elected body for this agency’s limited purpose. All in all, there is every reason to think we can hold the Restoration Authority’s spending accountable, and that Measure AA is a positive step toward regional collaboration beneficial to the public interest. Measure AA is a tiny tax of a dollar per parcel per month that will generate huge benefits for San Francisco Bay, for its wildlife, and for all Bay Area residents. It is our best chance to protect and restore our beautiful Bay as a legacy for future generations. Please join us in voting Yes on Measure AA. I’m sorry but the taxpayers are sick of bonds getting tacked on to their property taxes. If you need a donation I will give one. Better yet if you need volunteers I will show up and try to hustle up some friends. But no more taxes please !!!! Thinly disguised attempt to confuse the electorate. Measure AA is a Trojan Horse. If you want to actually address wetlands, do it county by county, and directly elected officials are a prerequisite. The whole “appointed” thing, a la ABAG and MTC? Stinks. We agree with the Bay Guardian stance and oppose any regional taxes. Nature does an excellent job of healing itself if left alone. Until you quit adding to the problem you cannot fix it. Start with a moratorium on filling the bay and building on the waterfront and you will have your return of the wetlands. We don’t need a new tax that will add to the cost of living and gentrification of the most expensive real estate. This is the first of many new taxes. There are plans for increases in sales tax, gas tax, higher transit fees, car license fees, and water and sewer fees that will drive the cost of living up by over 100 dollars month. We know that wages are not going up at that rate. This public cannot afford any more taxes any more than we can afford higher rents. Thank you to Tim Redmond for understanding the challenges posed by Measure AA, and for communicating those challenges publicly. We all want a healthy and safe Bay. That is not the issue here. The issue is the Restoration Authority’s unprecedented power to propose taxes and allocate them as it sees fit. The opportunity for inefficiency and unfair preferences is only too obvious.